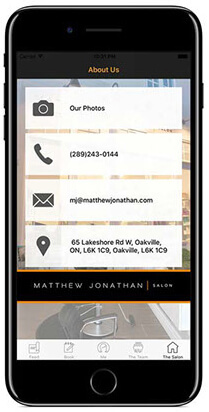 At Matthew Jonathan, you’ll find a team of COLOUR SPECIALISTS and styling experts who work harmoniously together in an Award Winning Salon in beautiful downtown Oakville. Matthew is well respected in the hair industry for having mastered colour trends such as Balayage, Colour Melt, Babylights, Ombre and more. He is a dedicated teacher and has imparted his secrets and skills to his well experienced and talented crew of stylists. Maintaining hair health is important to the team which is why only the best products and treatments are used. Learn about AMMONIA FREE colour, Olaplex and more here. 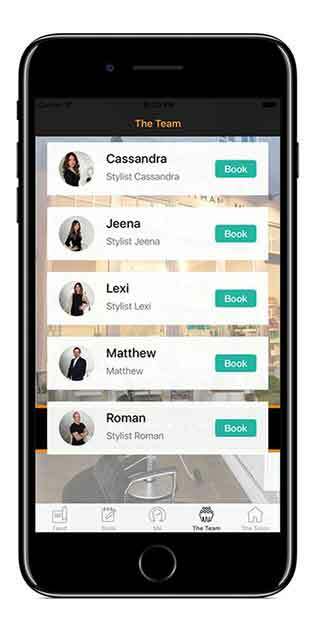 Book Appointments Easier with Our New App! 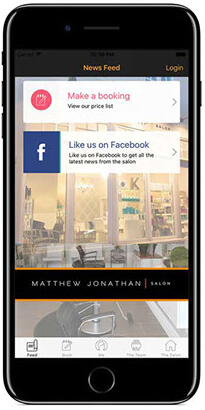 Discover the convenience of our amazing mobile app… making appointments has never been so easy. Download it now from the app store! Matthew Jonathan is well known in the GTA for his amazing way with colour. Not only is he a Master of colour trends such as Balayage and Colour Melt techniques, he also produces the most natural looking highlights around. Over his 25 year career, Matthew has worked hard and has received praise in the industry for his ability to perform stunning hair makeovers. There is no doubt that Matthew’s success also stems from a rich family heritage. His Grandfather, Father and five of his siblings have independently established themselves as successful hairstylists and salon owners in Austria, South Africa and now Canada. Matthew collaborates closely with his talented team of stylists, their combined talent has earned them various awards and acknowledgments in Oakville. Matthew is not only passionate about hair, he’s passionate about people and life, his sincerity, optimism and jovial nature are tangible to all who meet him. To give our clients the very best, we believe it’s important to stay connected to the international hair industry. We follow some of the leading hair gurus from social media platforms, striving to bring in colour educators to keep current with the leading trends. We believe this is an integral part of our success and we will continue to bring the best techniques from all over the world to the client in our chair. 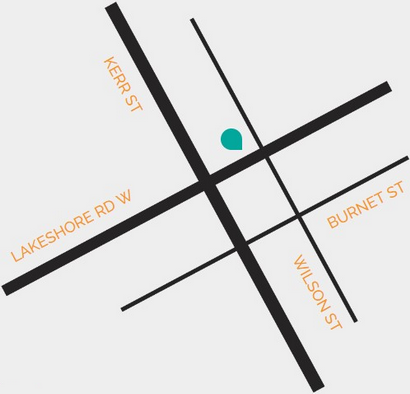 Based in beautiful downtown our salon is easily accessible and in the heart of a quiet and relaxing part of town with great shopping and ample parking. After a rest stop here you will find yourself rejuvenated and ready to take on life.